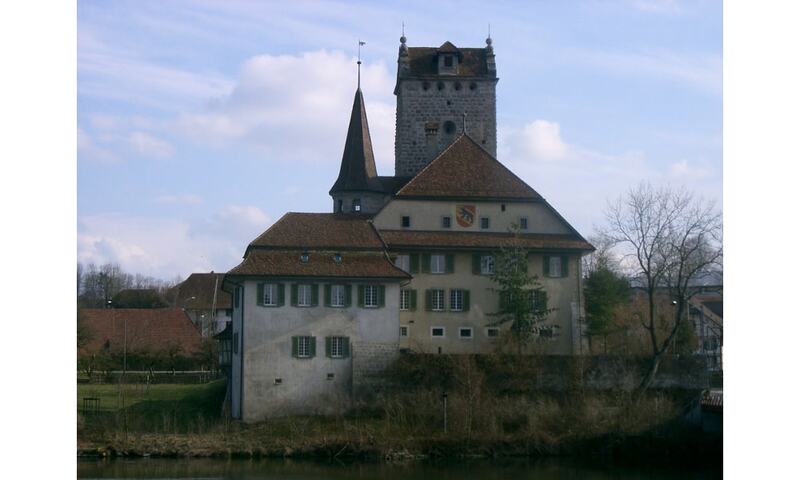 Aarwangen Castle was built around 1300 by the lords of Aarwangen. After the Aarwangen family died out, the castle went to the Grunenberg family. They sold it in 1432 to the city of Bern. It served as the seat of the Bernese bailiff until 1798. It is now the administrative seat of the surrounding district.